F. Xavier Castellanos, MD, a renowned neuroscientist, has devoted his career to developing innovative research techniques to deepen our understanding of both healthy and pathological brain processes. 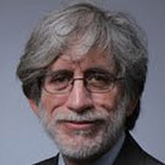 Dr. Castellanos is the vice-chair of research in the NYU Child Study Center, director of Center’s Phyllis Green and Randolph Cowen Institute for Pediatric Neuroscience, Brooke and Daniel Neidich Professor of Child and Adolescent Psychiatry and professor of radiology, physiology and neuroscience at the NYU School of Medicine. Prior to joining the NYU faculty, Dr. Castellanos worked for 10 years as a staff physician and chief of the ADHD Research Unit at the National Institute of Mental Health (NIMH).